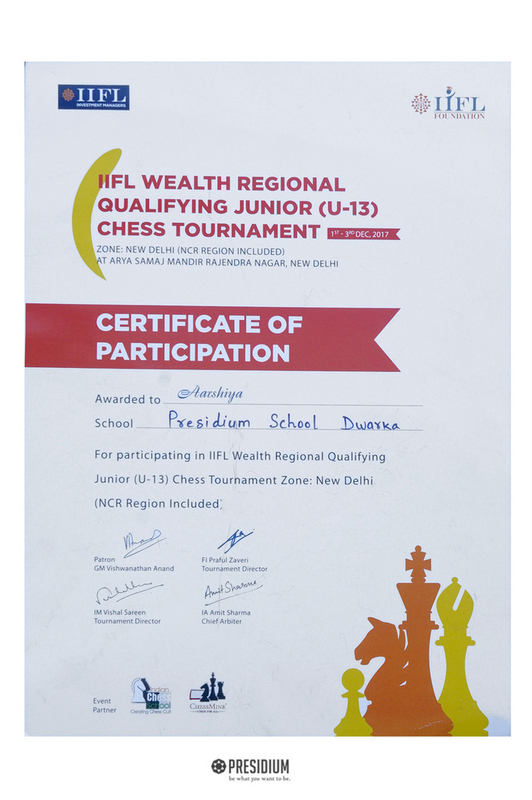 Today, we congratulate one such winner, Aarshiya, from Presidium Dwarka 22 for winning 3rd prize in under 8 year category of a grand Chess Tournament organised by IIFL Wealth Regional Qualifying Junior (U-13). 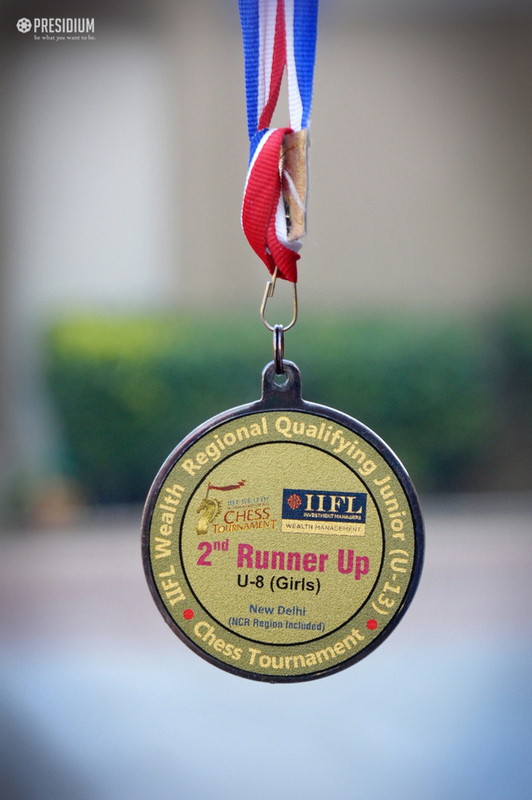 Outshining more than 300 participants from different schools of Delhi, the talented grade 4 Presidian was felicitated by Arjuna Award winner - Ms. Tanya. 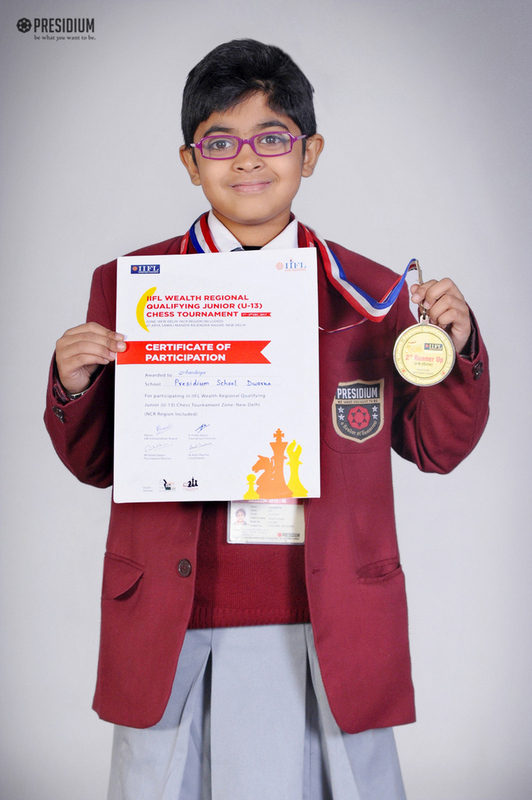 Kudos to the chess champ Aarshiya and her mentors!